Police have launched an investigation after mosques in the central city of Birmingham were targeted overnight. A counterterrorism unit is investigating. Five mosques in Birmingham in the West Midlands in the UK had their windows smashed with a sledgehammer, police say, adding that they believe the attacks are likely to be linked. Police were called to one of the mosques at 2:32 a.m. local time and were then alerted to a similar incident 42 minutes later. They then discovered damage at two further places of worship. A Birmingham councilor tweeted a video of the damage done to Witton Road Islamic Centre, pointing out that Muslims are scared, especially after the recent attacks in New Zealand. 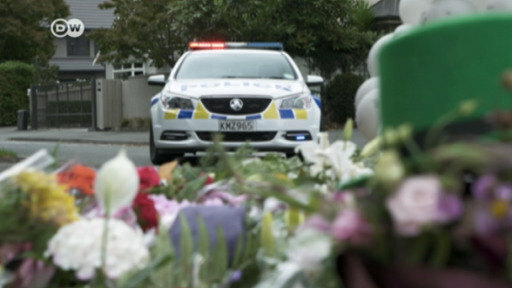 The incidents come less than a week after 50 people were killed at massacres at two mosques in Christchurch, New Zealand. Birmingham is the UK's second-largest city and home to a large Muslim community. Nearly 22 percent of the population there identified as Muslim in a 2011 census. Fifty worshipers are now confirmed dead after mosque shootings in Christchurch, New Zealand. Residents have been turning out to express solidarity with the city's grief-stricken Muslim community and to support each other with acts of kindness. Following last week's attacks, German Muslims are worried that their places of worship might be targeted, too. DW's Christoph Strack writes that there is a simple way for non-Muslims to show solidarity with neighbors.